“Relationship Between Plasma Glutathione Levels and Cardiovascular Disease in a Defined Population: The Hisyama Study.” Stroke. 2004 Sep; 35(9):2072-7. Yes. Glutathione Deficiency certainly begins to occur when we hit the age of 20, and the levels of glutathione in our bodies actually decreases by about 1% per year after this. Eating the right foods, exercising, and using glutathione supplements is necessary to maintain our glutathione levels we had when we were younger. 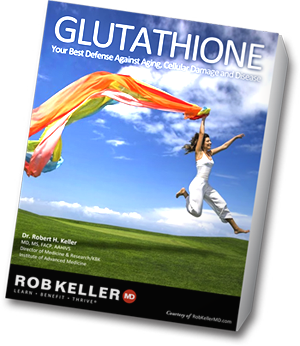 Dr. Robert Kellers Original Glutathione Formula can help. Is there any connection to low glutathione levels and pain? MY DENTIST SAYS MY PAID (which jumps about in my head) is coming from trigeminal nerve.